Bangalore, Feb 14: Karnataka’s budget for ensuing 2014-15 spares the common man from new taxes but taxes those who drink beer and domestically-produced liquor. 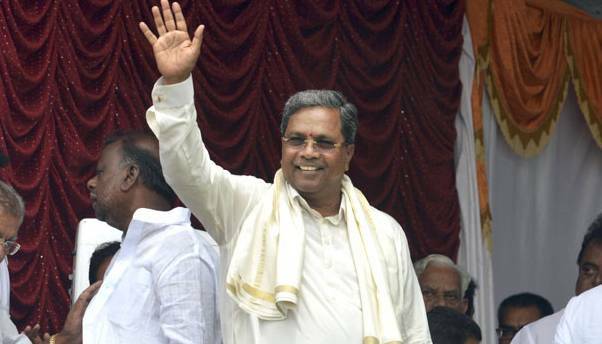 Presenting the budget, Chief Minister Siddaramaiah on Friday told the legislative assembly here that additional excise duty on beer would be increased 13 percent to 135 percent to mobilise additional resources. "I propose to increase the additional excise duty on beer to 135 percent from 122 percent on 330 ml bottled beer priced at Rs.125 and above," Siddaramaiah said in his two-hour long budget speech. Similarly, licence fee on primary distilleries, Indian liquor manufacturing distilleries and breweries has been increased 50 percent and on retail liquor shops to Rs.3 lakh from Rs.1 lakh. The budget, however, proposes to lower value added tax (VAT) to 5.5 percent on liquor sold in bars and restaurants in urban areas, clubs, lodging houses and star hotels so as to maximise collection on value addition. "As part of rationalisation effort, I propose to increase luxury tax on minimum daily rent to Rs.750 from Rs.500," said the chief minister, who also holds the finance portfolio. Besides sparing the people, especially traders from increase in commercial taxes, the budget has reduced stamp duty on immoveable properties to 0.25-0.75 percent on slab basis from the prevailing flat 5 percent of their value. "Similarly, stamp duty on joint development agreements and powers of attorney will be reduced to two percent," Siddaramaiah said. The budget also proposes to exempt stamp duty on alternate sites allotted by the Bangalore Development Authority (BDA) in lieu of the land freed from government control (denotified) and on sale deeds executed under the state government’s aerospace policy 2013-23. Stamp duty will be reduced to 0.5 percent from 1 percent on imported goods, which are exempted from customs duty. In the transport sector, the budget proposes to levy Rs.500 per seat per quarter on motor cabs costing Rs.15 lakh and registered in other states but entering Karnataka by obtaining tourist vehicle permit instead of paying life time tax. In response to representations from various quarters, the budget has extended tax exemption on paddy, rice, wheat, pulses and their products. To provide relief to small growers, Siddaramaiah also proposed to reduce tax on scented arecanut powder other than mixtures to 5.5 percent from 14.5 percent. There will also be no entry tax on ethanol for mixing with petrol.